Some of the more obvious signs that someone may be suffering physical abuse include slap marks, unexplained bruises, pressure marks, and certain types of burns or blisters, such as cigarette burns. But not all physical abuse is so obvious. Clothing may hide marks, wounds, and bruises, and in some cases, internal injuries may not always have outward signs. Fractures, or torn or stretched muscles from being handled too roughly also may not show immediate or obvious outward signs. The most important thing you can do to help protect someone you love against physical abuse is to be observant and listen to their complaints. Visiting them often will help you notice any changes in mood, appetite, or sudden weight changes. 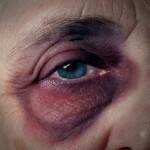 If an elderly person says they are being abused, don’t dismiss their allegations. Listen, ask questions, and then report suspected abuse to the proper authorities who can investigate the situation further. In addition to contacting local authorities, you may also wish to contact a personal injury attorney. Although police may take your concerns seriously, they may not always find sufficient evidence to press charges. However, even when no criminal charges are brought against a person(s) or institution, a personal injury lawyer that handles elder abuse cases may be able to get you civil justice. Failing to meet the physical needs of an elderly person such that it causes them harm in some way, may be considered of neglect. Pressure ulcers, filth, lack of medical care, malnutrition, or dehydration are some of the more obvious signs of neglect. Unfortunately, sores and physical signs of malnutrition may take time to notice. Nursing home staff may make claims that a patient’s weight loss is due to the natural process of aging, or a refusal to eat. However, it is the responsibility of nursing home staff to ensure the welfare of their patients and immediately address any medical condition including sores, which can lead to life-threatening infections left untreated. Dehydration can also lead to serious medical problems including death. And malnutrition weakens the body, reduces a person’s resilience, and can lead to depression or death. Withdrawal from normal activities, unexplained changes in alertness, or other unusual behavioral changes. 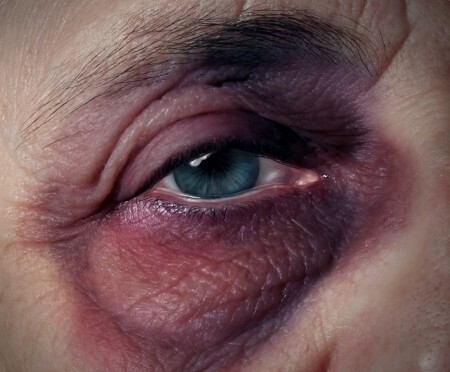 Bruises around the breasts or genital area and unexplained sexually transmitted diseases are the most common signs of sexual abuse of the elderly. Unlike with neglect, or even physical abuse, people who are sexually abused often feel ashamed and may not tell someone about the abuse. The elderly are particularly vulnerable, especially if they have suffered any form of mental diminishment (i.e., dementia.) They may become easily confused or manipulated, or even forget that the abuse has taken place. Sudden change in finances and accounts, altered wills and trusts, unusual bank withdrawals, checks written as “loans” or “gifts” and loss of property.